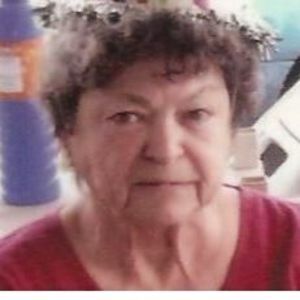 BREMEN - Dollie M. Miller, 74, of Bremen, died Thursday, September 12, 2013 at 3:24PM at Owensboro Health Regional Hospital. Mrs. Miller was born March 3, 1939 in Evansville. She was a homemaker. She was preceded in death by her husband, Curtis Miller; daughter Belinda Mae Miller; parents William and Mary Kathern Blake; brother Larry Blake; and sister Leona Compton. Survivors include her sons, Steve (Betty) Miller of Central City, Mike Miller of Bremen, and Robbie (Mickey) Miller of Bremen; daughter Kim (Gary) Hendricks of Bremen; grandchildren William Miller, Thomas Miller, Chasity Miller, Michelle Lear, Crystal Sapp, Tiffany Hendricks, Eric Miller, and Ashley Miller; several great-grandchildren; and one great-great-grandchild. Funeral services will be Monday, September 16, 2013 at 1:00PM at Tucker Memorial Chapel in Sacramento, with Rev. Troy Slinkard officiating. Burial in Bethlehem Cemetery. Visitation will be Monday after 11:00AM at the funeral home. Online condolences may be made at www.tuckerfuneralhomes.com. The beautiful and interactive Eternal Tribute tells Dollie's life story the way it deserves to be told in words, pictures and video. Betty, Steve, & Family, We are sorry for the loss of your loved one. May God comfort you & your family during this time . I'm so sorry for your loss.. She will be missed ..